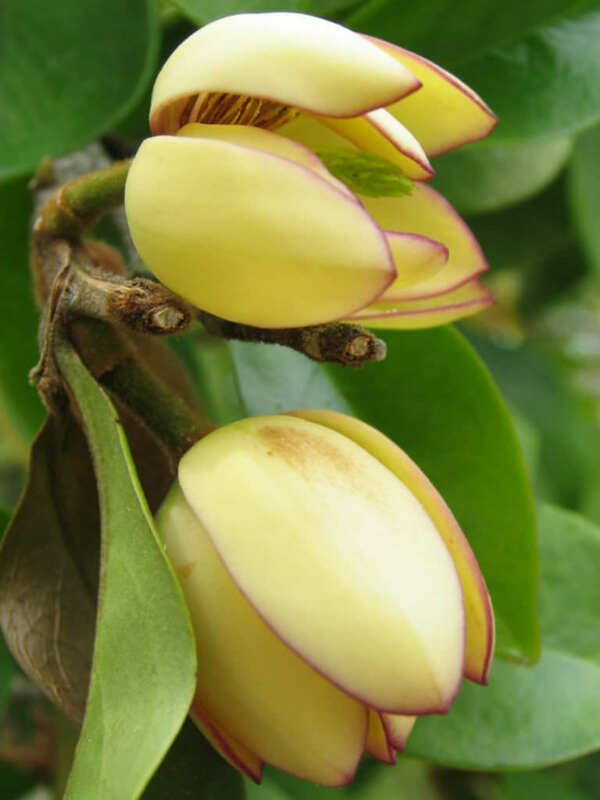 Magnolia figo is an evergreen tree up to 13 feet (3.9 m) tall. 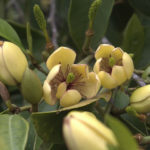 The leaves are leathery, dark glossy-green, up to 10 cm long. 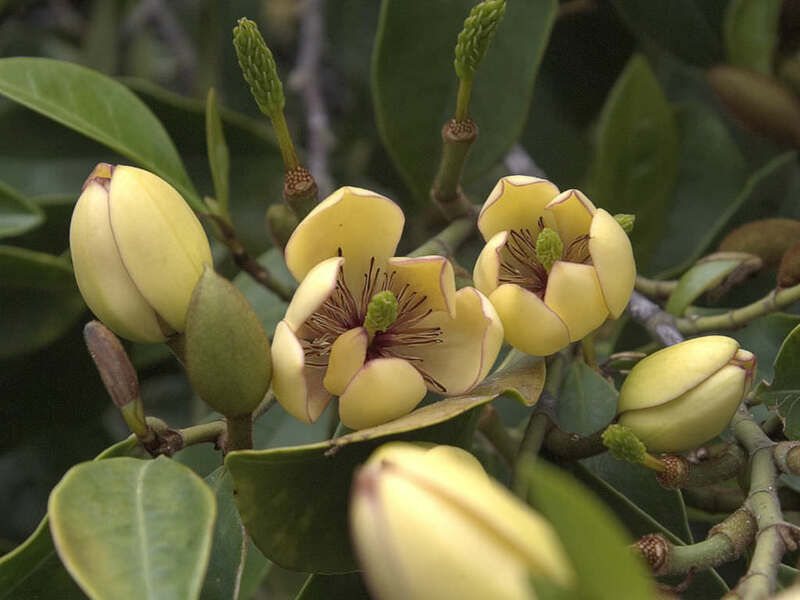 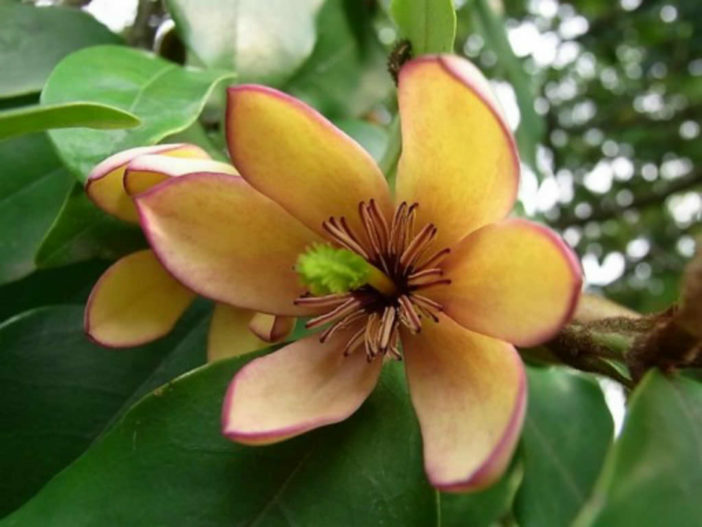 It is cultivated as an ornamental plant in gardens for its fragrant flowers, which are cream-white, purple rounded, or light-purple, and strongly scented with isoamyl alcohol. 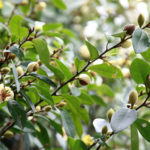 The flowers appear in early spring, with blooms continuing sporadically through the summer. 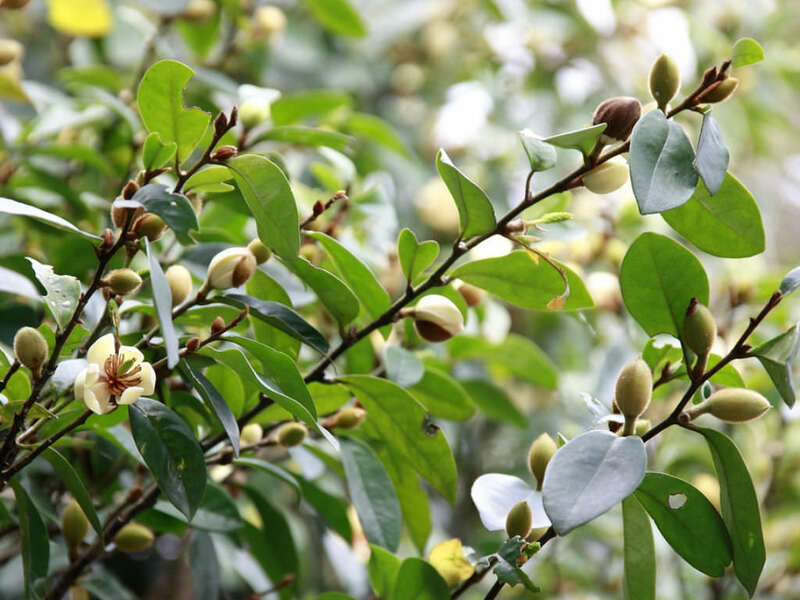 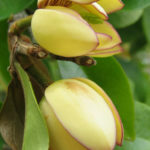 Magnolia figo is native to China.